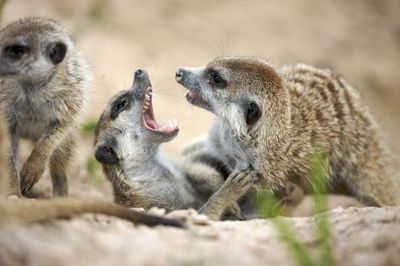 ‘Meerkat Manor' is a soap opera with a difference. The main protagonists are 12 inches high, live underground in burrows and survive on a diet of worms, insects and lizards. 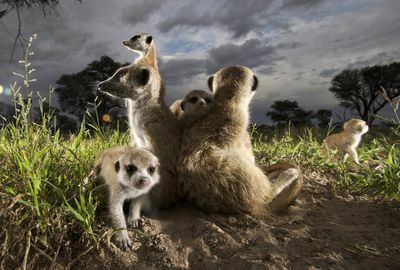 This ground-breaking series, narrated by Bill Nighy, follows a group of meerkats living in the Kalahari Desert in southern Africa. 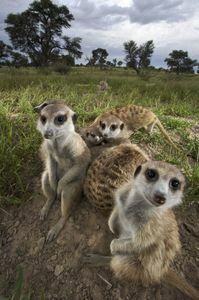 From family squabbles to love affairs, this is an intimate portrait of these curious and entertaining creatures as never seen before. We'll get to know each individual character as intimately as any human soap star but here the relationships, births, deaths and conflicts are for real. 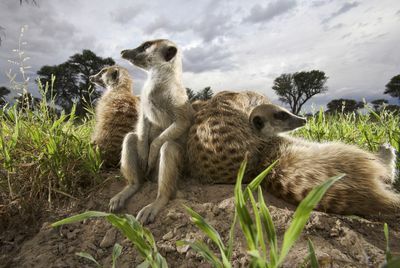 In cooperation with Cambridge University, the story of the Whiskers mob is told from the perspective of the meerkats themselves. 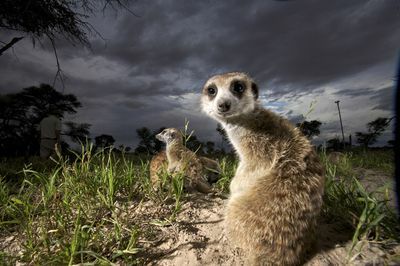 With no humans featured, film crews were housed in specially-built sheds and, for the first time, successfully filmed inside a meerkat burrow using fibre optic cameras. 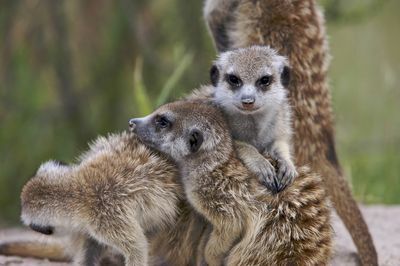 'Meerkat Manor' captures every facet of meerkat life in a fun, informative and always engaging way.